Rent Palms Casino Resort | Corporate Events | Wedding Locations, Event Spaces and Party Venues. Palms Casino Resort, heralded as one of Las Vegas' most sought-after destinations. 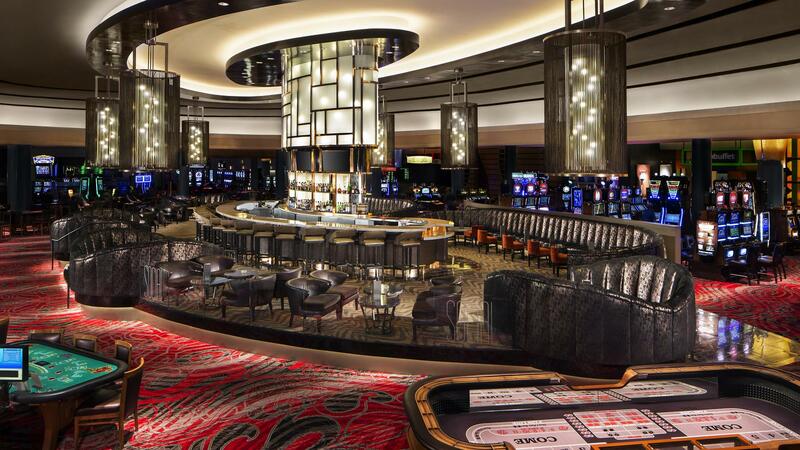 The boutique property boasts three distinct towers and a diverse mix of bars and restaurants across a 95,000-square-foot casino. Palms recently completed a multi-million dollar transformation that encompassed an Ivory Tower room and suite redesign, appealing new culinary additions, re-imagined gaming spaces and new, distinctive nightlife experiences. Other amenities include Fantasy Suites, such as the Hardwood Suite, the only hotel room in the world with its own basketball court; the all-new Cantor Gaming® race and sports book, one of the few sports books in Las Vegas to include a poker room; SOCIAL; Scarlet; tonic bar; newly upgraded Ghostbar; the Pearl Concert Theater; Moon Nightclub; N9NE Steakhouse; Nove Italiano; Alizé; Simon Restaurant & Lounge; Chocolat Bistro; The View; Kim Vō Salon; Drift Spa & Hammam; Brenden Theatres, a 14-theatre Cineplex; Palms Pool and more than 60,000 square-feet of meeting space.